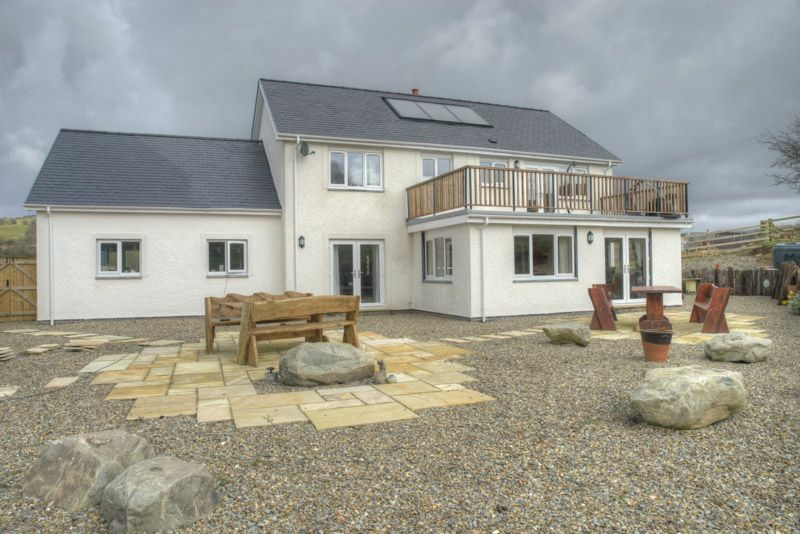 Recently built Bro Dafydd is situated in the beautiful countryside on the outskirts of Penrhyncoch. Our dog friendly bed and breafast is ideally suited for walkers and mountain bikers wishing to take advantage of the area's numerous public footpaths and bike trails amongst miles of unspoilt natural beauty. If you wish to bring your dog to enjoy the surroundings there is also an outdoor kennel available on request. Eclectically decorated Bro Dafydd consists of three charming en suite rooms all of which boast wonderful views. There is a selection of double/twin and family rooms, all with televisions, wi-fi and tea & coffee making facilities. If guests wish to unwind after a long day of venturing in to the welsh mountains there is also a comfortable guest lounge and garden area complete with gas barbecue available for use. .
Local Area - Surrounded by miles of beautiful mountainous scenery Bro Dafydd is a short drive to the coast and to the seaside town of Aberystwyth, Bro Dafydd is within easy reach of all local attractions, many restaurants and glorious beaches..
Dog Friendly Places: Aberystwyth contains a number of dog friendly pubs including local pub Yr Hen Llew Du where you can enjoy a pint and delicious home cooked food. Facilities - Linens provided - Off road parking - Baby Toddler Friendly - WiFi - phone - detached property - shop nearby - TV - large garden - washing machine - pub nearby.